This is a complete listing of all the PDF documents available for download from this website. To save a publication to your computer, right click (control click for Mac users) on the publication's title and select a location on your hard drive to save the file. A brief review of the seven most prevalent construction project delivery methods in use today (Design-Bid-Build, CM-at-Risk, Design Build, Bridging, and CM Agency) including a sixth method recently introduced by Brookwood: Enhanced CM-at-Risk. A discussion of Integrated Project Delivery has been included in this publication. A concise explanation of the Bridging method. The major benefits to the Owner in a design and construction program carried out by employing the Bridging method are listed and discussed below along with the benefits to the Owner’s Design Consultant (ODC), the architectural and engineering team that is referred to sometimes as the “Owner’s Architect”. This publication provides a detailed look at Cal Poly's 'Poly Canyon Village' which was, at the time of its construction, the largest on-campus student housing project in a single construction program in the country. This publication provides an overview of an equitable multi-party partnership which can reduce the risk to the capital partner/land owner/developer/project sponsor. Not master planning, facility programming or architectural planning, SREFP is integrated into a company's or institution's business plan and deals with its near term and long range plans for facilities and real estate. This document provides an overview of Brookwood's program management services, which include Development Management and Program Management. Typical Program Management Phases and Services are described, from Pre-Design through Close-Out. From the Program Management Services series: The Design-Bid-Build project delivery method is thought of as the traditional method by most people in the construction industry and related professions. From the Program Management Services series: The Construction Manager at Risk project delivery method (CM-at-Risk) can be a very comforting and a good way to manage design and construction in the interests of the project as long as the Owner’s organization is one that is in a position to rely upon relationships in the procurement of construction. From the Program Management Services series: The Design-Build method of project delivery is best used by an owner organization that is in a position to rely upon relationships* in the procurement of construction. From the Program Management Services series: The Bridging method of construction project delivery is a hybrid of the traditional Design-Bid-Build and the Design-Build methods. From the Program Management Services series: Employing the Bridging method with the CM-at-Risk project delivery method is not only easily feasible, but can have a number of significant advantages to owners who choose to use CM-at-Risk. From the Program Management Services series: The “Construction Management Agency” project delivery method was the basic “CM” idea that emerged in the 1960s as major construction programs, particularly public agency programs, began to be undertaken after World War II. 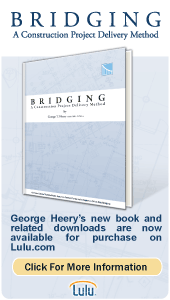 In this document American architect George Heery provides a personal account of the evolution of the profession of Construction Management and Construction Program Management. (Mr. Heery is recognized as one of the pioneers who transformed the face of modern construction delivery during the last half of the 20th century). The professionals at Brookwood have expertise in planning, administration, finance, leadership, real estate, architecture and much more — all with a commitment to help advance credibility and manage risk for college and university leaders. Student Housing is a critical component for student success and is one of Brookwood’s recognized specialties, from planning and development to full program management. Brookwood professionals have extensive planning and program management experience with sports facilities, thus enabling the firm to serve as a valuable advisor to colleges and universities that are planning new or expanded stadiums, arenas or other athletic facilities. BTC | Brookwood services include multidisciplinary international consulting spanning the worlds of Planning, Design, Project Management and Social Development.